Ugh, it happened, and it only took a second, now you have been told that you can’t bear weight on your foot for 4-6 weeks and/or possibly more. I feel for ya, this adds challenges to your life that NOBODY wants to endure. As far as equipment that will help you walk, you have some options: Crutches (forearm & Underarm), Knee walker, & wheelchair. Depending on your work (if you are able), your home and how you navigate between the two, one or all may be applicable. Each one will take some getting used to, slow you down considerably, and probably make you simultaneously resent and appreciate them. 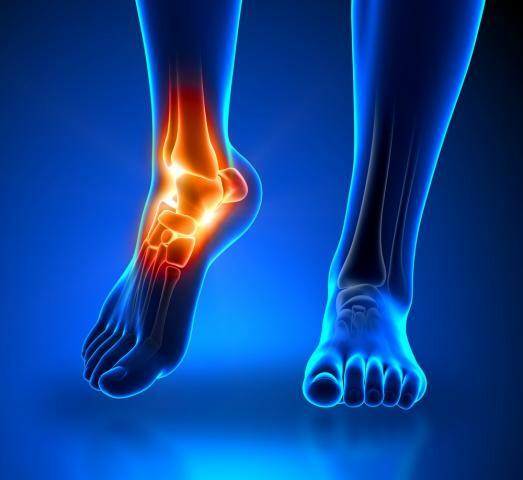 The bright side is you can alleviate a lot of pain by following the Dr's instructions and staying off your foot. · Before stepping, place the crutches 8 in-10 in in front of you. · While walking, do not try to move too quickly or to cover too long a distance with each step. Keep the crutches close to your body. · Plant the crutches, step & swing, repeat. · Stairs: place the crutches on the next step below, then step down with the good leg. · While going up stairs, step up with the good leg first, then bring the crutches up. · If using just one crutch, techniques for walking start with placing the crutch under the arm opposite your weaker leg. Move the crutch and your weaker leg forward at the same time. Then take a step with your stronger leg. · Make sure the seat width & depth are comfortable for you. · Get the floor to seat height adjusted correctly, you may be able to foot and hand propel, in which case you want your foot to have good contact with the ground. · An elevating leg rest may be needed as well depending on how long a period of time you will be in the chair ie:5 mins to get to bathroom or 2 hours waiting at an appointment.